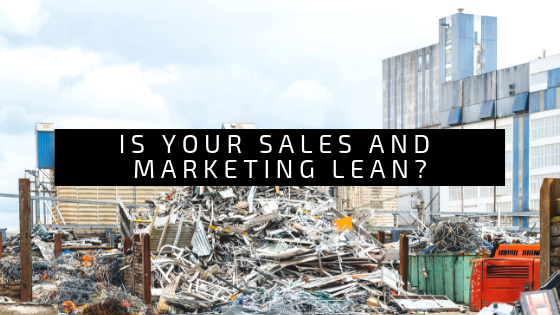 Did you know that applying Lean to sales and marketing can deliver an even more significant return on investment than production? 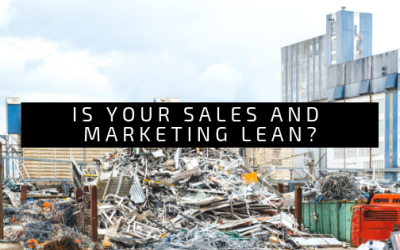 While Lean Manufacturing Methodology used by nearly 70% of manufacturers today to reduce cost and improve efficiency, less than 20% have applied it to sales & marketing. Why don’t lean philosophies get applied to sales/marketing more often? Sales and marketing are communication driven, and until recently sales and marketing technology hasn’t been adapted to lean, in other words, it was difficult. That is changing now, making lean sales and marketing possible for any size manufacturer to adapt quickly. 1 – Identify your goals and growth plans as a company, as well as the biggest obstacles in the way. Goals are key for later on in the process. Here is a handy document you can download to get to the key questions. 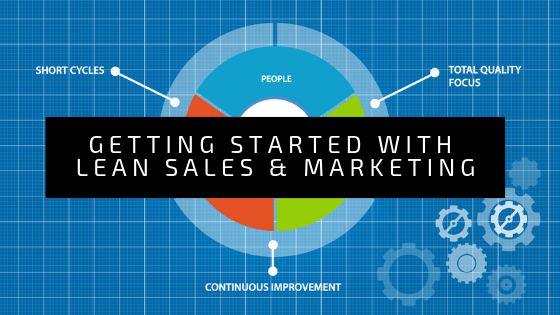 2 – Think of Sales & Marketing regarding processes, and break down activities into processes. In marketing, this is often called a “Funnel.” Funnels can be applied both to opportunities, prospects, and existing customer cross and upselling opportunities. Either way, think of how you interact with customers in terms of processes, what is working, what’s broken. 3 – Look for areas of waste. Look for processes that aren’t efficient, are run too many times, or are constantly error-ridden. An excellent way to do this is by creating a Value Stream Map. If you aren’t familiar with value stream mapping, here is a good guide. If you’d like some help, we recommend talking with your local Manufacturing Extension Partnership (MEP) to assist with this. In South Dakota (our home state) our local MEP SD Manufacturing Technology Solutions is very experienced in doing value stream maps. 4 – Grab low-hanging fruit. Areas of waste become apparent during the value stream map process. Find the areas of waste that are the easiest to eliminate, then get rid of them by improving your process and applying automation tools like Flywheel. 5 – Rinse, repeat. Once you have a win on the board, go after the next level areas of waste. Usually, this is done in 2-3 cycles, but it depends on the complexity of your process and opportunities to improve them. 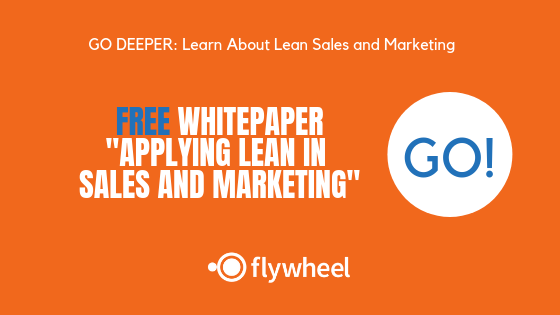 Flywheel performs complimentary Lean Sales & Marketing consultations to efficiently walk you through the above process and identify high-level areas of improvement. Like this article? Check out our posts on common wastes in sales and marketing among manufacturers.